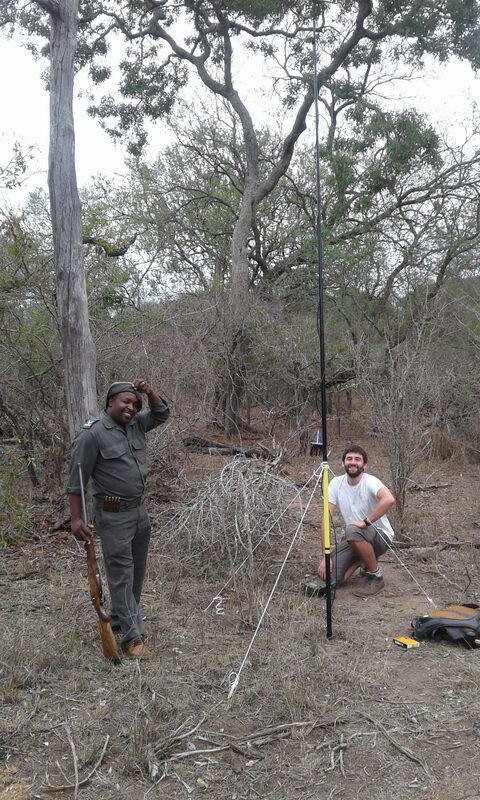 S ylvain and Rob have again visited South African Kruger National Park to study dynamics of biodiversity in savanna. This time, they have spent three more weeks by sampling of moths and recording of bats. At the same time, birds were censused by our colleagues David Storch and Ondrej Sedlacek. The moth abundances several times exceeded the previously sampled end of dry season in November, so we expect a lot of very interesting findings! During the past month, Rob gave several lectures on our research of biodiversity and restoration of postindustrial sites. 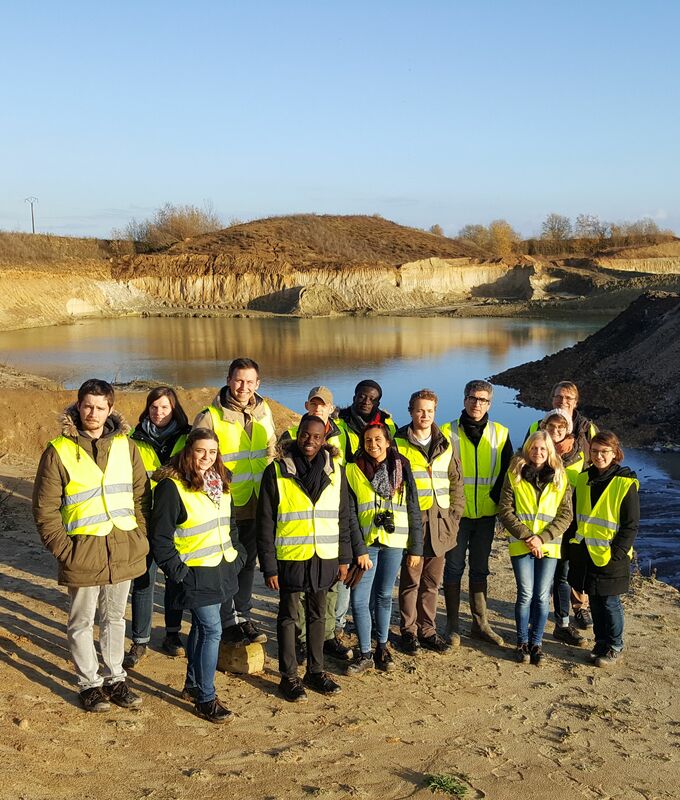 At the end of November, Rob has visited ISA Lille where he taught the topic for two days, followed by an excursion into two sites under restoration after mining. This was already a third year complex lecture for the international students, combining mutual visits of France and Czechia. This year seems to be highly successful, as one ISA Lille will probably spent her six months internship in our group. In mid-December, Rob gave two lectures, one for Czech and one for international students, at the Czech University of Life Sciences in Prague-Suchdol. Rob is giving these lectures regularly, as the CULS students are potentially ending up in practical conservation. Lastly, a week before Christmas, Rob gave a specialised talk on biodiversity and restoration of fly ash deposits for the new lecture series on degraded sites restoration at the Faculty of Science, Charles University, led by Prof. Pavel Kovář. Hopefully, all these talks and lectures will lead to more intensive application of ecological restoration practice in many projects in various postindustrial sites, as well as improvement of communication within our scientific field. Recently, Rob co-authored three popularising papers related to our research topics. 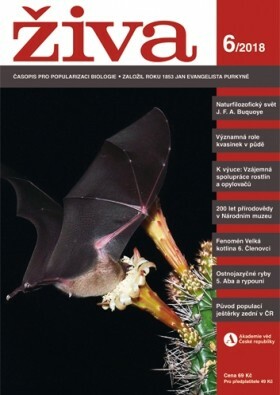 In the last issue of Živa, a popularising journal of the Czech Academy of Sciences, there are two papers written together with Jana Jersáková. The main paper focuses on mutual relationships of flowering plants and their pollinators, including its evolution. The second paper describes and discusses pollination syndromes. A week ago, a brief description of the projects on dynamics of biodiversity in the Kruger National Park in relation to water stress and herbivores was published in Botanika, a popularising journal of the Institute of Botany CAS. All three papers are freely accessible, click the links above. Although in Czech, there are some nice pictures. Sylvain and Rob have spent a bit over two weeks in the Kruger National Park, South Africa, they are coming back tomorrow. 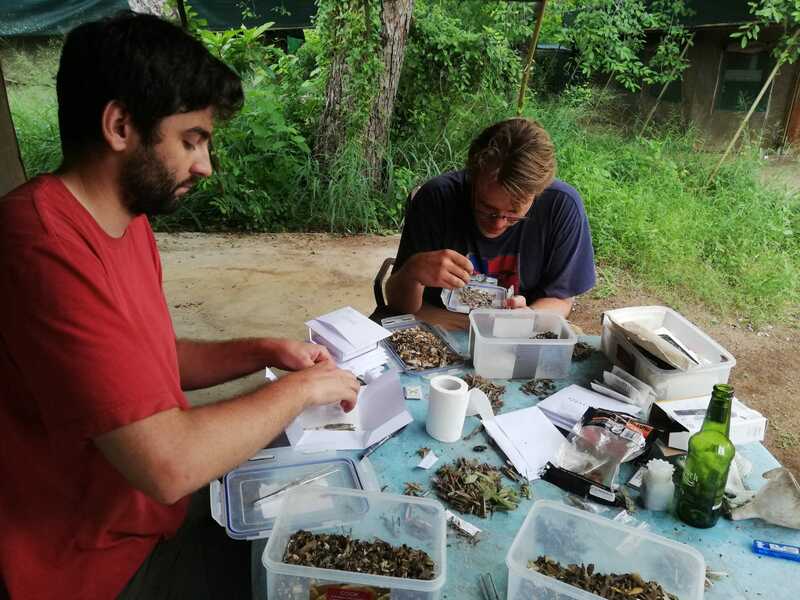 They have been sampling moths and recording bats for the larger project of Petr Pysek and David Storch focused on the role of seasonal rivers for dynamics of biodiversity in African savannas. Despite some initial difficulties caused by delivery delays of our equipment, the sampling was successful and they are bringing back moths and data from 30 plots in the southern part of the park. This material will be processed in the coming months, whilst Rob and Sylvain are already arranging the next sampling in February/March 2019. On Monday, Rob gave an invited talk at the Biological Colloquium of the Institute of Zoology, University of Bonn, Germany. He summarised our results of analysing almost 50 thousands butterflies and moths recorded during our sampling along the altitudinal gradient of Mount Cameroon between 2014 and 2017. Vincent and Sylvain, the two PhD students currently responsible for the analyses, helped with the talk preparation crucially. Altogether, it was for the first time we put all the data and results together into some concise synthesis. Simultaneously, Rob met our friend and collaborator Marianne Espeland from the Zoological Research Museum Alexander Koenig, and together discussed progress on various projects. Beautiful building of the University of Bonn where Rob gave his talk. Recently, we have finished the pilot experiment of transplant of zygopteran larvae and algae communities between a fly ash deposit and a sandpit. We were lucky to collect all cages during one of the last warm and sunny days of this autumn. All cages seemed alright, as well as their inhabitants. Although Andrea is still preparing the preliminary results, it seems we will be able to perform the full experiment next year! 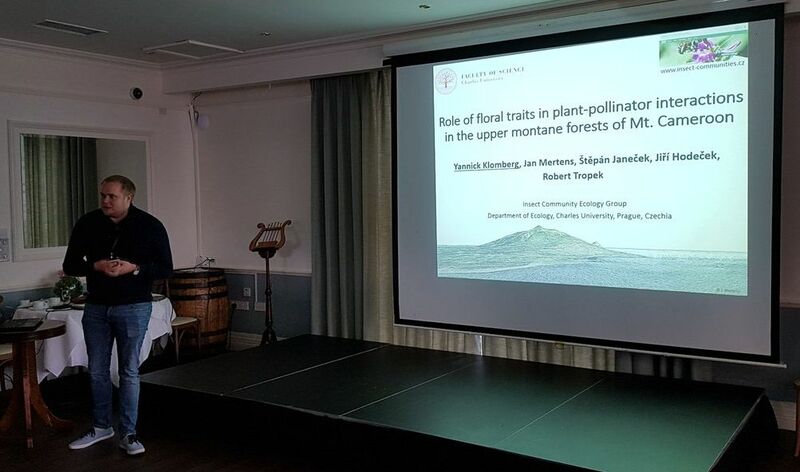 Robert, Yannick and Stepan (together with our close collaborators Petra Janečková, Jana Jersáková and Michael Bartoš) attended the 32nd Annual Meeting of the Scandinavian Association of Pollination Ecologists (SCAPE) held from Thursday 18 – Sunday 21 October 2018, in the beautiful Avon Ri Lakeshore Resort, Wicklow, Ireland. We have presented our fresh dataset from the upper elevations of Mount Cameroon: Rob introduced pollination networks, while Yannick focused on the role of floral traits in the interactions of plants and pollinators. The whole meeting had a very nice and friendly atmosphere and we are really glad to get into the international pollination community. We really enjoyed the conference with a lot of interesting talks, discussions, Irish beer and even Irish dancing. 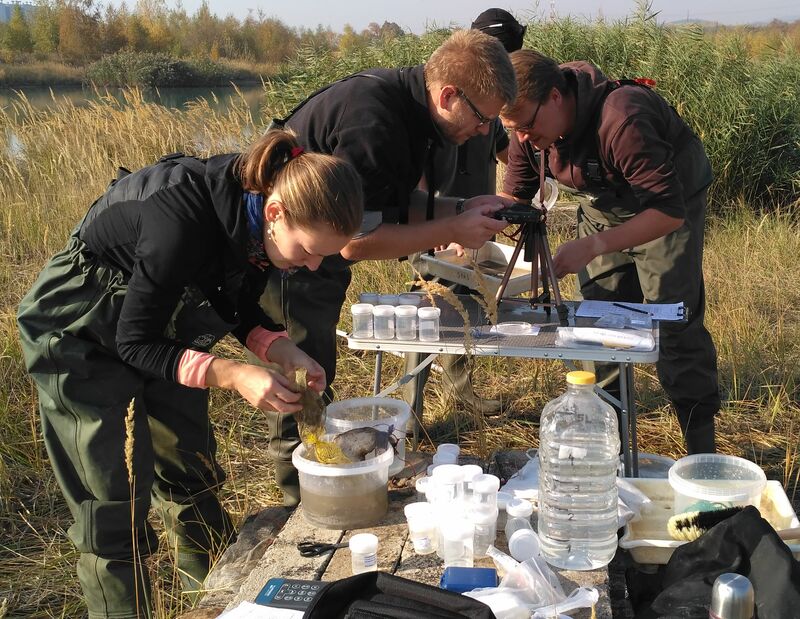 During the last weekend, our group met in the Ruda field station. We welcomed several newcomers to our group (three new PhD students, one intern, check our Team page), the retreat programme was thus clear: to introduce each other and to socialise. In both, we succeeded! Each present group member presented her/his work, either previous or current. Simultaneously, Stepan introduced building of our new station in Buea, Cameroon. We also split for two trips: first part (mainly foreigners) visited fish harvest in the Rozmberk pond, the rest of us did the “traditional” hike to Vlkov village. Last but not least, we succeeded to finish a beer barrel, as well as a beer crate donated by Vincent by the lost bet. Altogether, the group retreat was successful and enjoyable and we are already looking forward to the next one! During his previous master studies, Sylvain attended a two-weeks student expedition to Gabon, during which the students were systematically surveying local communities of moths. The collected material was partly identified and mostly barcoded and used for the survey of moth diversity in two different areas in Gabon. Few days ago, results of these survey have been published by the Genome journal, with Sylvain as the first author. Their results revealed how poorly known the Gabonese biodiversity is – for some groups, they found even more BINs (taxonomic units based on the genetic information only) than the known species richness from Gabon. Simultaneously, the paper also discuss differences between the sampled habitats and seasonal changes. Congratulations to Sylvain for his first first-authored paper! Full citation: Delabye S. et al. 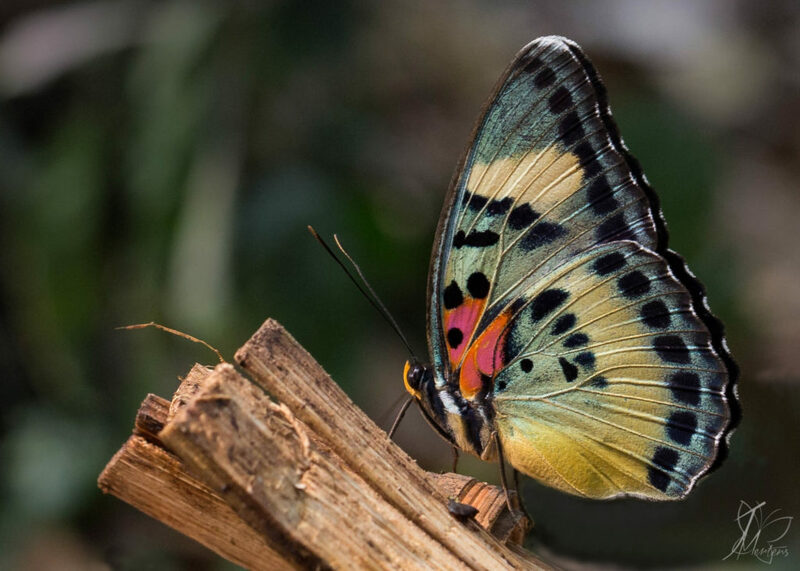 (in press) Characterization and comparison of poorly known moth communities through DNA barcoding in two Afrotropical environments in Gabon. Genome.